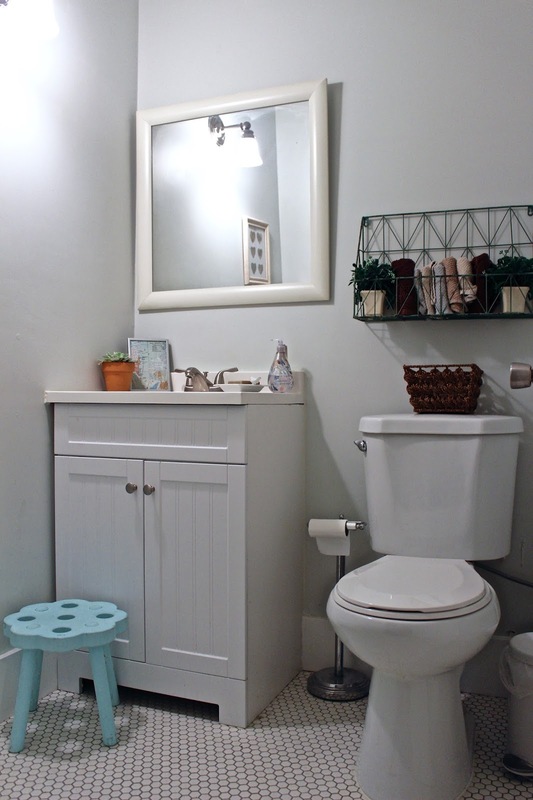 Last year when we redid our kitchen, we also somewhat redid our bathroom downstairs. It's a tiny guest bath, and we it just needed a bit of an update. We switched the larger tile flooring to hexagon tile and it changed the look quite a bit. This bathroom has gone through a bit of cosmetic change since we first got it. 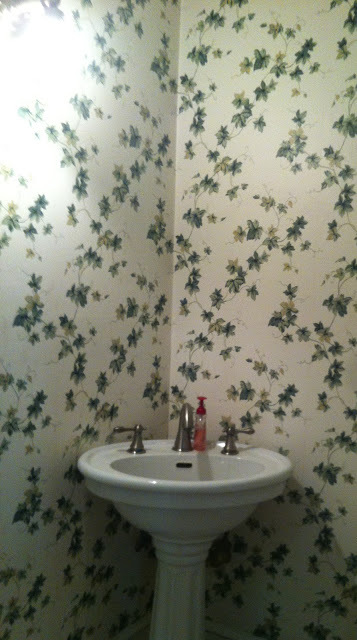 This is a small glimpse to what our half bath kind of looked like when we first moved in, except that wallpaper was worse in person!! The wallpaper in here was so bad because it was placed over another wallpaper design. When I removed the wallpaper, it actually damaged the wall because it was stuck pretty well, and it probably had been on the wall for years! These are the tiles that I just hated, and we also switched the toiletsince this one was so short and wide! And this is our bathroom currently. Simple gray walls, newer toilet, new vanity, and tiles! I feel like it makes more of a difference to what it used to be. I would love to eventually get a new mirror, and change the light right above the mirror as well, and get brighter lighting since this room is pretty dim. But for now, I'm more than okay with where we are now.